Barry M is a lovely drugstore brand that I have reached for for a long time, and especially love that the are accessible and affordable as it makes it a good brand for all price ranges and they stock a really wide range of products. 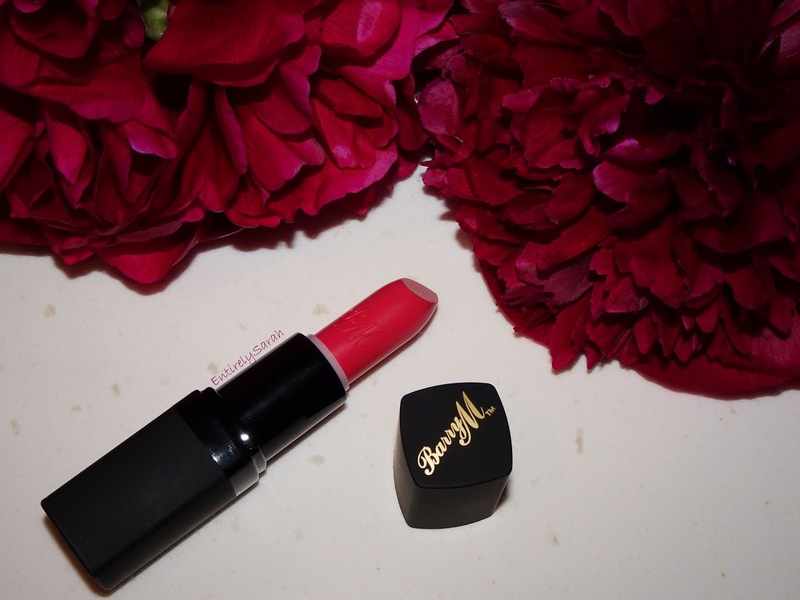 I was so pleased to try out a lipstick from the range as it has been so long since I tried a Barry M lip product, so it was the perfect excuse to branch out and give something new a go! The Barry M lipsticks come in a matte black packaging with the Barry M logo printed on top of the lid. The glossy band in the centre is where the lid meets the base and gives it a nice bit of detail. The base has a sticker on to give the number of the shade with a little coloured sticker to correspond to the colour of the lipstick. I love the packaging and think it is simple and lovely. 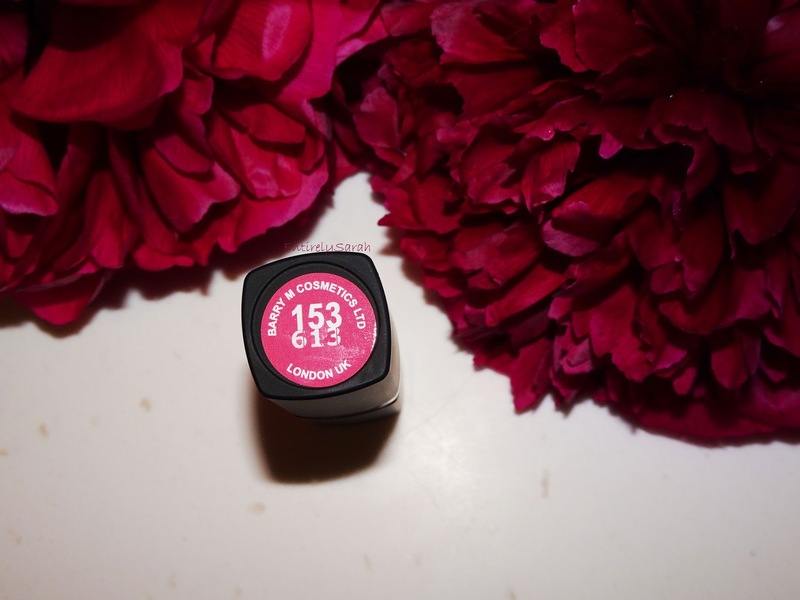 The colour looks a bright pink colour in the tube but applies as a slightly less bright shade on the lips. The colour has a lovely vibrant hue to it without being too over the top meaning it would still be appropriate for day time if you didn't want anything vivid and bright. It has a cream finish on the lips which makes it have a slight shine on the lips which I really like, but does mean it is transferable on the lips and doesn't set and stay put on the lips. The lipstick wears really nicely on the lips and is one that faded quite evenly on me, and only really needed attention if you were to eat with it on, or there was some transfer when drinking so it you were to drink a lot you may need to touch up then too. I don't mind this as I find I always need to reapply my lip colour when I have eaten as I just haven't mastered how to make it stay on, so its just part of my routine. I love the finish and colour and the way it sits on the lips as it is so comfortable to wear and really doesn't feel like you have anything on the lips, except the slight creamy feel when you rub your lips together. Overall I am so impressed with this lip colour. At £4.99 I definitely think I will be picking more of these up as I am looking to expand my colour range in my lipstick collection to make me more adventurous and I think this would be a nice affordable way to incorporate a few good quality lip colours into my make up collection without spending too much on them if they were colours I may not wear all the time. You can find these in Superdrug or Boots with limited colours being available online here and stands in store having a slightly wider range to choose from. 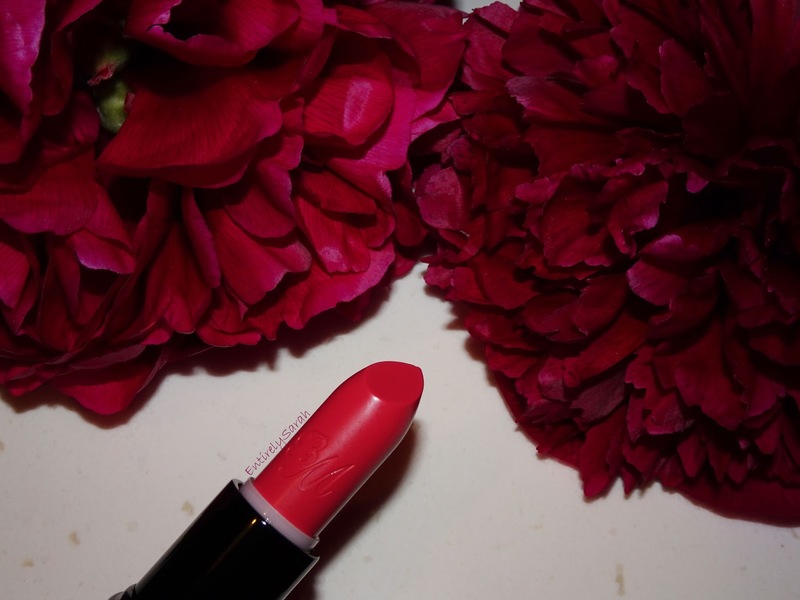 I'd love to know what your favourite shade of lipstick is for summer and what brand you think I should be checking out for lipsticks!